i m working on “Wireless surveillance system using zigbee”. 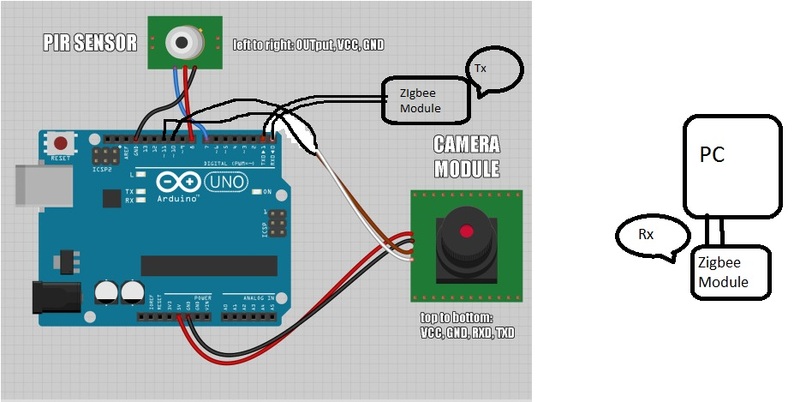 But i want to add external PIR motion sensor and wireless zigbee module with Arduino. The images are stored in SD card. but my goal is when the PIR detects any motion the image should be stored in memory card (Done in attached code)and then that image should be transferred through zigbee (Zigbee Tx is connected with Rx Pin0 and zigbee Rx is connected with Tx Pin1). PIR sensor output is connected with Pin7 of arduino. So what are the additions/modifications do i require for transmitting image on Pin1 in following code. 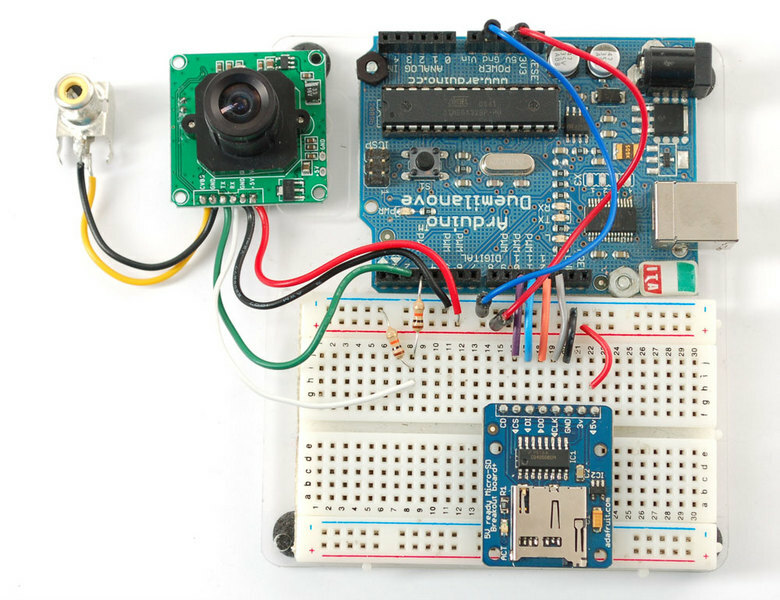 // This is a motion-detect camera sketch using the Adafruit VC0706 library. // snap a photo, saving it to the SD card. // You can also verify whether motion detection is active! @sohelmalek12 : Your question is very specific . Even though it is interesting and someone may actually take the pain to answer you , I seriously suggest you to post your question in Arduino specific / related forums . I sincerely hope that you get the help requested . Stackoverflow.com is one website where your question might be well received .